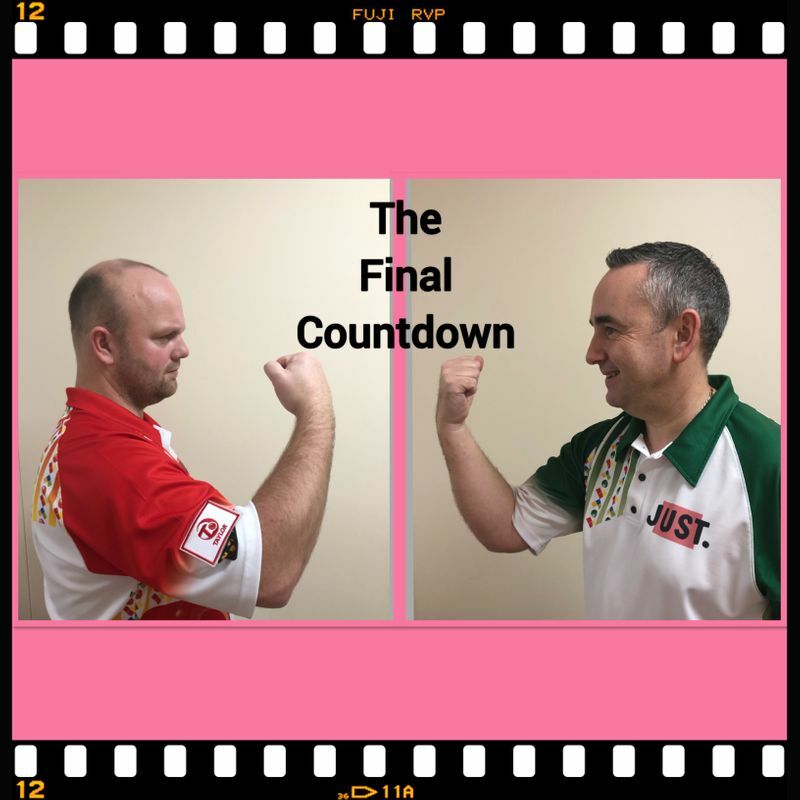 After seventeen days of action the FINAL COUNTDOWN’ to take possession of the Just World Indoor singles title is looming. Tomorrow afternoon, in front of a sellout crowd, Scotland’s Stewart Anderson – the number 9 seed and Nottingham’s Simon Skelton – who had to win five games at the Lincoln qualifier to book his Potters place, will do battle to decide who will be crowned the 2019 champion. In yesterday’s semi-finals Anderson, seeded 9 was the first in action against Leicester’s Les Gillett, seeded 12 and he brought the same form to the rink that saw him win the Scottish International Open title at Perth in November. He dropped the first two ends, but steadied the ship with a 3, 2 and 1 to lead 6-2, eventually getting over the line 8-6. In the second he looked in command at 6-1 after five ends but Gillett reeled off a treble and double to square the match at 6-6, but it was Anderson who ran out the winner 8-7 to reach his third World Singles final – losing to Greg Harlow in 2010 and then celebrating his first title success three years later. The other match between 2016 champion Nicky Brett and former Top 16 ranked was very one sided – with Brett in sizzling form. He only dropped two ends in the first set and won 9-2 with an end to spare and galloped out of the blocks in the second, jumping out to a 7-1, five end lead. However the match turned on its head with Skelton producing an amazing grandstand finish and taking the set 8-7 after a run of 1, 1, 3 and 2. That gave him and a lifeline to a tie break and after his breathtaking fightback he left a shell shocked Brett, who have delivered a dominating performance, reeling on the ropes after an immensely tense three end decider as the result went to Skelton 2-1.